There’s no doubt that microbreweries have become increasingly popular across the UK. Just last year, the Guardian uploaded an article to their website reporting that the number of breweries in the UK (Including microbreweries in this number) has gone up by up to 8% to a total of around 1700 at the time of the report. Coupled with the rising popularity of craft beer cross the UK, the profitability of microbreweries has also increased, making them even more popular as a business. 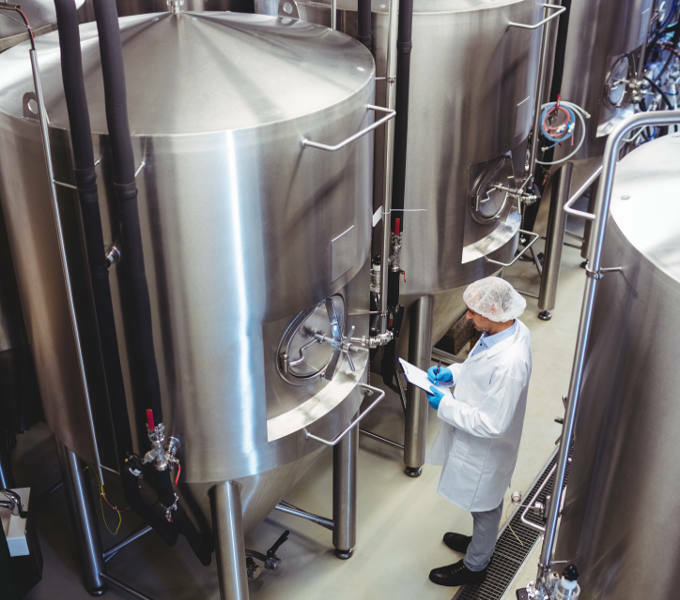 As with many food and drink businesses, the need for proper flooring in a microbrewery is paramount to the safety and hygiene of employees working in a microbrewery. If you own a brewery or maybe you’re a keen entrepreneur with a love of craft ale, you will undoubtedly need proper industrial flooring for your brewery. Not only will this improve safety and hygiene, but a proper flooring solution will help your business stay compliant with the latest industry regulations and health and safety codes. At Octego Ltd, we have over 40 years’ experience providing commercial and industrial flooring solutions to a number of industries. We are fully qualified to help advise you on the best flooring solution and to have it installed quickly and efficiently.